As commonplace as drum handling is in today’s workplace, choosing a method that is cost- effective, safe, and productive involves a comprehensive review of goals, staffing, space, product, and the never-ending list of potential obstacles. So often, purchasing decisions are shortsighted, being made to save small amounts of money immediately rather than preventing untold costs for the future. The following approach has worked for many of our customers to determine the right product, at the right time, for the right reasons, and for the ever-changing application. What are your goals for handling these drums? Do you have products demanding special handling care? Should the product be weighed? Is drum dumping needed? Or perhaps corrosion-resistance or spark-resistant units are needed? 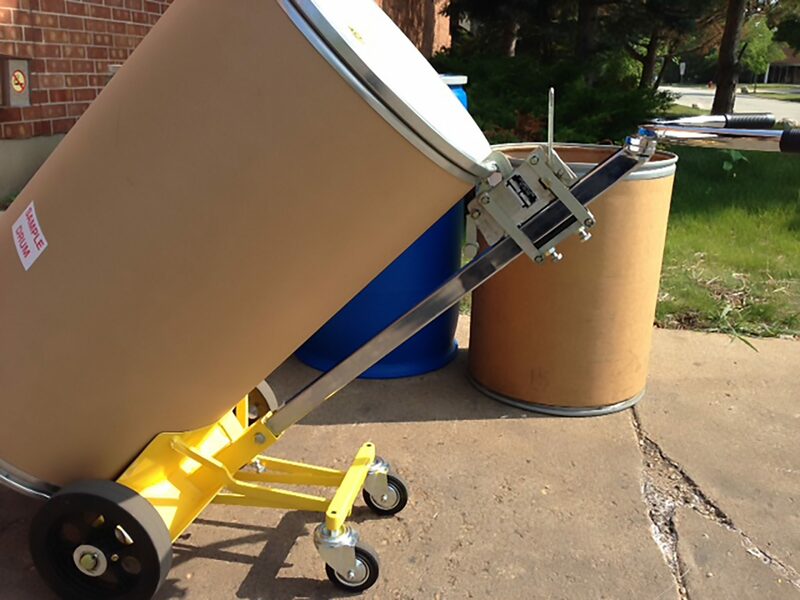 Are you handling drums manually with a hand truck when a portable hydraulic model or a lift truck attachment unit could save time? Understanding your goals ahead of time will help prevent unnecessary costs and issues in the future. Who will be moving the drums? Work-related injuries are often a costly result of a bad match between operator and equipment. It is better to work to your employees strengths for handling equipment and choose accordingly in order to maximize efficiency on the shop floor. Also, consider hours worked, shift discrepancies, continuity from shift to shift and reporting of data, maintenance, serviceability, and other information. From there, determine how simple or sophisticated your drum handling routine truly is. Just because it’s always been done a particular way for a number of years doesn’t mean change can’t help. Portable equipment, hoist mounted or “below-hook” equipment, forklift attachments and dumping/dispensing equipment are just some of the possible choices. Often times, the most sensible solution isn’t the most expensive or the most immediately apparent. Details about your working cycle, shifts, and product flow should also be considered to effectively source equipment that will provide return on investment and safety enhancements over the long term. Customized equipment may even be warranted based on your individual needs. What materials do you move in your drums? What type of material will you be working with (liquid or solid?). Are there products that require special handling such as flammables or high flash-point material? What about items that require heating, temperature control, vibration, or mixing? Could the material corrode certain types of metal? Shelf-life concerns may require discussions about inventory and cash flow requirements. Some items may be seasonal and require immediate handling in higher volume, warranting a four-drum handler versus a two-drum unit, perhaps. How safe is your current work environment? Wearing steel-toe boots, hard hats and safety glasses is not the extent of a “safety program.” Worker capabilities, vision and sight lines, product alerts, labeling, ongoing training, and many other factors play into a safe drum handling operation. More directly, is your drum handling equipment currently in good condition? Do you have a service and maintenance program set up in house, or with Liftomatic? One drum handling incident could cost more than all of the drum processing in the entire operation. Are you following old, bad habits? Are you or your employees ignoring safety protocols because “it’s the way we’ve always done it?” Protocols are there for a reason, and while you may not have experienced a major accident this year, last year or even within the past 10 years, it only takes one instance of bad drum handling practices to create a major catastrophe. “Man-Handling” of drums is NEVER an acceptable practice. 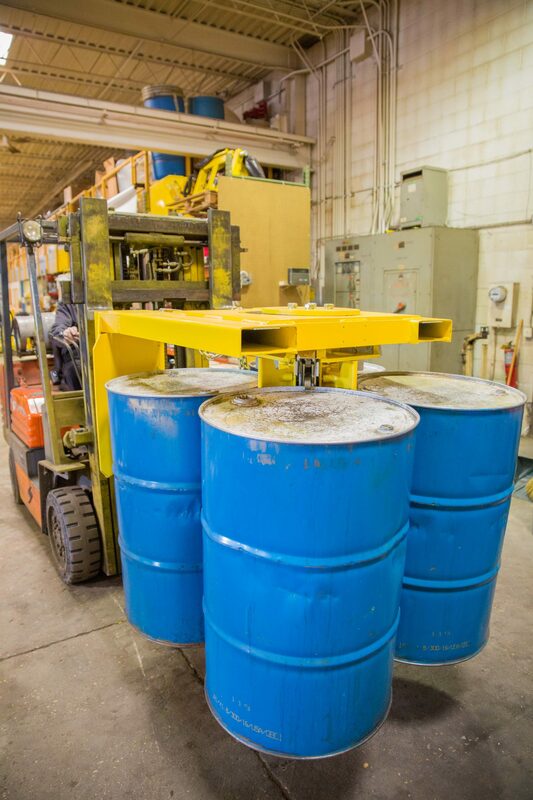 Rolling drums on and off pallets, trucks or docks by hand is a sure way to cause an accident. Crushed hands, feet and back injuries are all too common in this situation. 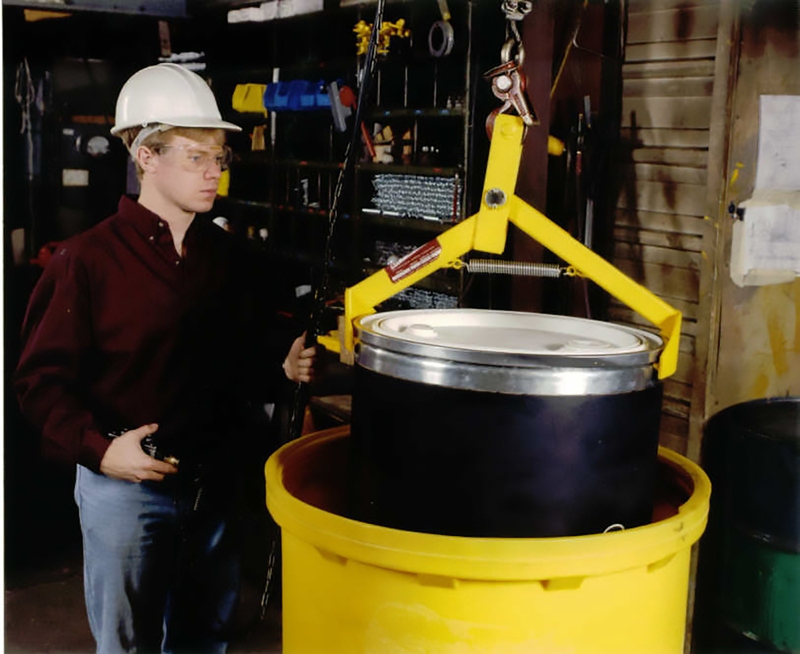 In areas where manual movement of drums must be accomplished, a vertical, positive-engagement lifting device is essential for operator and product safety. 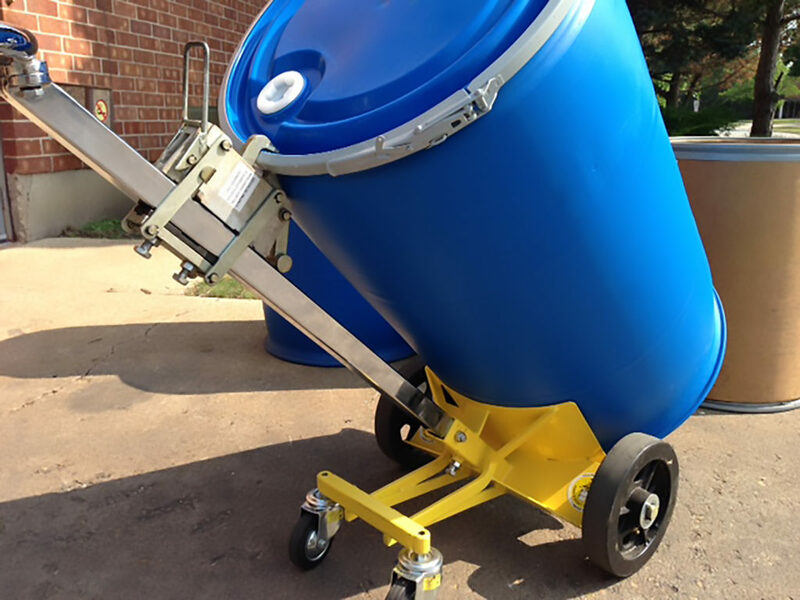 A capable operator with a proper drum handling attachment can safely load about 80 drums into a truck or container in less than 30 minutes with no manual movement of the drums involved. When buying drum handling equipment, you should look for options that make the employees job easy and discourages manual hand movement. Is money truly being saved in the long run? The old adage, “you get what you pay for” remains true. Continual replacement and repair add up in the long run. Buying better equipment allows for an overall longer lifespan, superior performance and happier employees. When helping a customer decide what the best course of action for their drum handling is in terms of productivity, cost control and profitability, Liftomatic draws upon 70 plus years of experience working with clients large and small all over the globe. About Liftomatic Material Handling, Inc.